David Caldwell and Rachel Caldwell were commissioned by the Rev. James Walker, a direct descendent, under the direction of Greensboro Beautiful, Inc. for permanent placement at David Caldwell Historic Park in Greensboro, NC. David Caldwell (1725–1824) was a Presbyterian minister, a self-trained physician, and an early educator in colonial North Carolina. 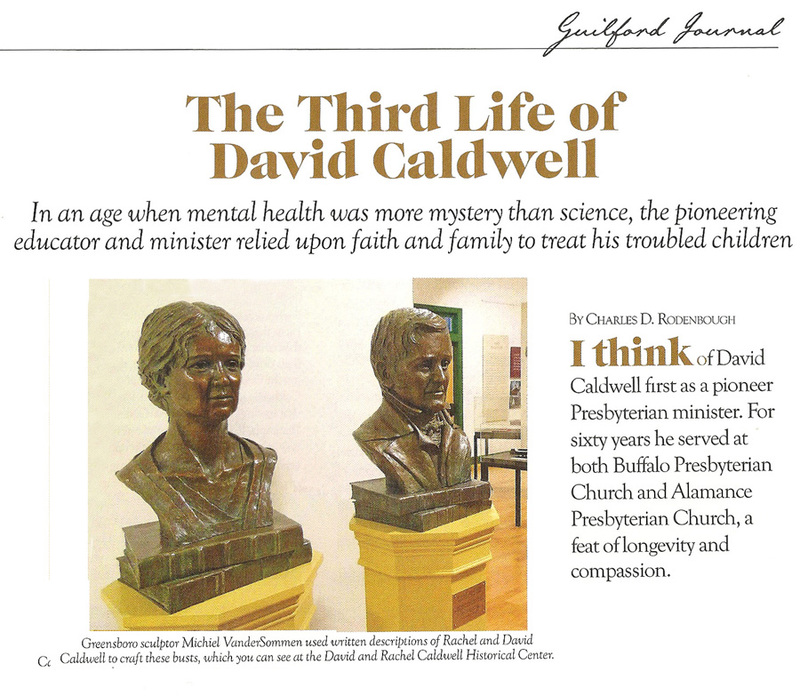 Caldwell was ordained a Presbyterian minister in 1765 and in 1766, David Caldwell was called to serve as a minister to two Presbyterian churches, Alamance and Buffalo, in what was to become Guilford County. One year later, he opened his academy (“Log College”), an advanced classical school for young men, near Buffalo Church. It was recognized as one of the most outstanding schools in the South. David Caldwell's influence in North Carolina's development was profound. He attempted to negotiate a peace between the rebellious backcountry farmers and the Colonial Government during the War of the Regulation in 1771. Caldwell also served as one of five Guilford County delegates in the fifth Provincial Congress of 1776. The five delegates were all members of Buffalo Church. North Carolina's first constitution was adopted at that Provincial Congress of 1776. Caldwell successfully organized the adoption of a very restrictive religious test for holding elective offices in North Carolina. Throughout the American Revolution, Caldwell was a vocal supporter of the patriot cause. As a result, he was hunted by British troops during the 1781 campaign in North Carolina that culminated in the Battle of Guilford Courthouse. Following the Battle of Guilford Courthouse, the Caldwells worked tirelessly treating the wounded soldiers of General Nathanael Greene's army. 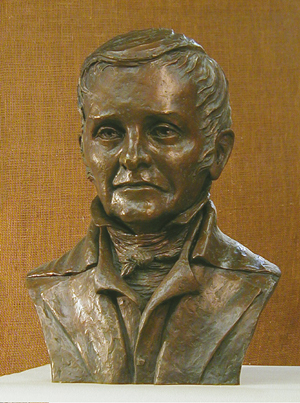 Caldwell retired from Buffalo and Alamance Churches in 1820 and continued to educate students until his death in 1824. 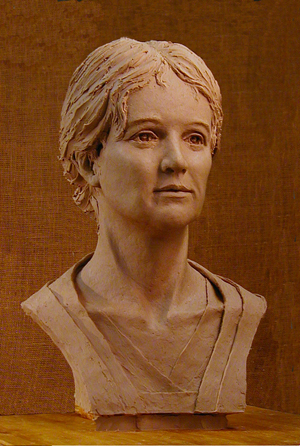 The sculpture, which was unveiled during the opening of the Caldwell Park Interpretive Center in 2007, was created with only one picture available, but key information was made available from the research of Gary Brown, and clothing and hair information by Susan Webster of the Greensboro Historical Museum.